I’m a patient at Pitsmoor Surgery and I’m talking to Dr Hobbs about the cervical cancer screening programme. The number of women coming to the surgery for the check up is nowhere near 100%. It could be. Since it was established in 1988, the NHS Cervical Screening Programme nationally has made a significant impact on cervical cancer mortality, saving an estimated 5,000 lives a year. Dr Hobbs mentioned the Facebook/Instagram ‘10 year challenge’ craze that has taken hold recently, which triggered one health professional to remind people that Jade Goody, of Big Brother fame, died of cervical cancer ten years ago. And after her death, there was a huge spike in women going to clinics and to their GPs to take the screening test. However ten years on, uptake for screening is at a twenty year low. So why are fewer women going for the test now? 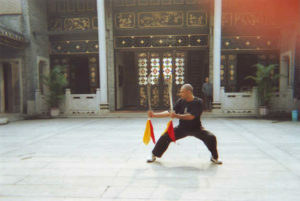 I, myself, used to have the test every three years until I was 50; and since then, every five years. Pitsmoor Surgery runs a drop in clinic every Wednesday evening for registered patients between 4 and 6.30 and you just check in at reception. If you are unable to come on a Wednesday, then please arrange a nurse appointment for another day. Really straightforward… and so important!. Dr Hobbs tells me that cervical cancer can develop from the Human Papillomavirus when it infects cells in the cervix. Medical science advances have resulted in vaccinations against the virus which means, in the future, women will not have to attend the surgery so often for cervical testing. 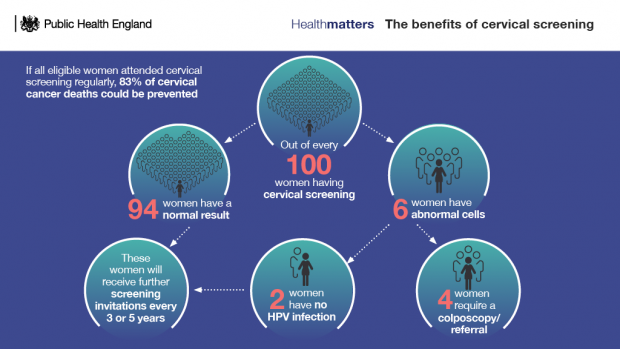 But meanwhile – screening helps prevent deaths from cervical cancer. 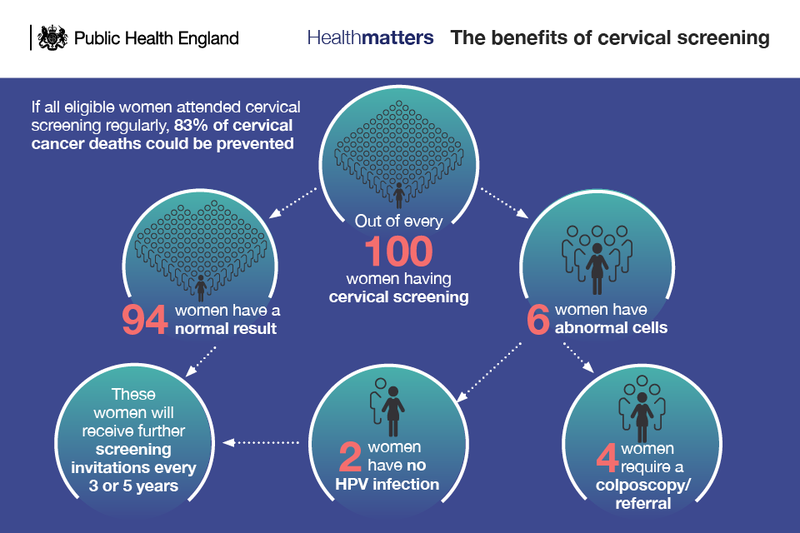 In March 2019 Public Health England will launch its first national multimedia cervical screening campaign. So please think hard about this, and if you have missed an appointment or have never had a test, come to the surgery on a Wednesday between 4 and 6.30, or make an appointment to see a nurse.It’s free; it’s confidential; it could save your life. We plan to make Our Health Matters a regular feature, so if you have any health topics you would like covering, do please let us know.